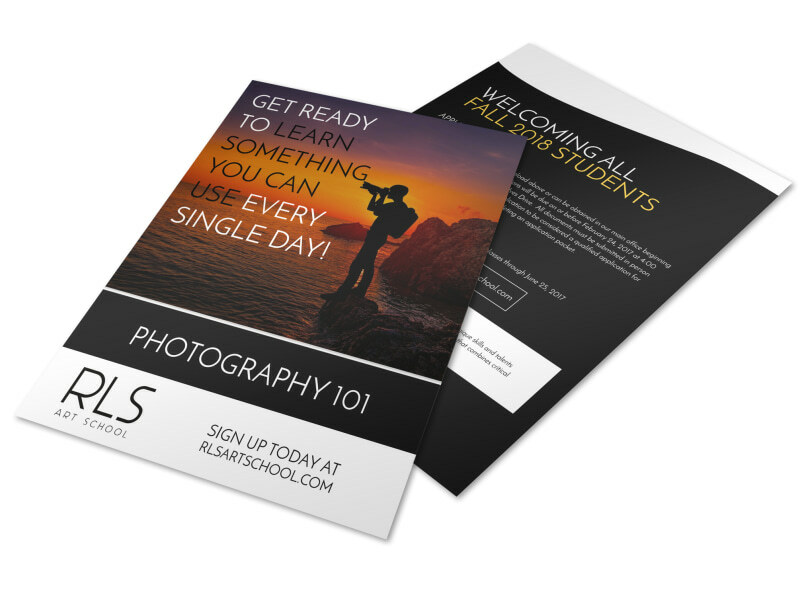 Customize our RLS Photography Club Flyer Template and more! Use our online editor to shed new light on your marketing message with this easy-to-customize flyer for your photography club. With many different fonts and colors to choose from to add your text in personalization abilities are endless! Get started today and you can print from where you are for fast access or let us do the work for you.